Sean Szymkowski October 23, 2017 Comment Now! Hennessey is in the business of outfitting numerous production cars with an array of go-fast parts, but the cherry atop the Texas performance company's business is the Venom. First introduced in 2010 and based on a Lotus, the Venom GT was faster than a Bugatti Veyron, weighed less, and clocked a 270.49 mph top speed. 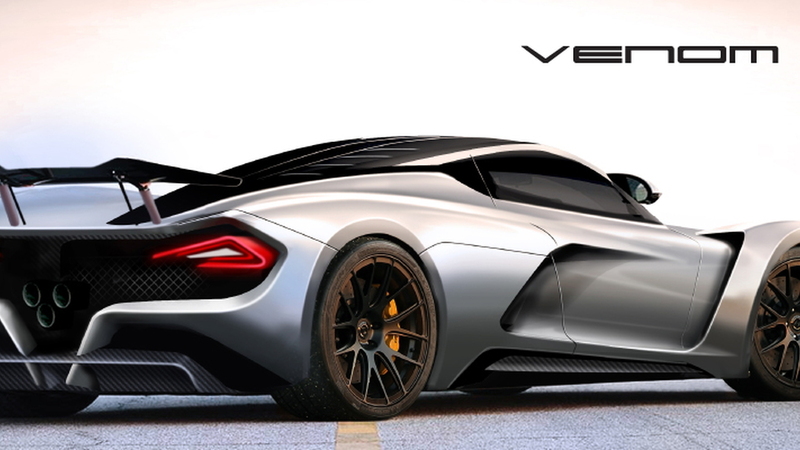 Although production of the Venom GT ended this past January, the nameplate won't remain dormant as the Venom F5 cometh. 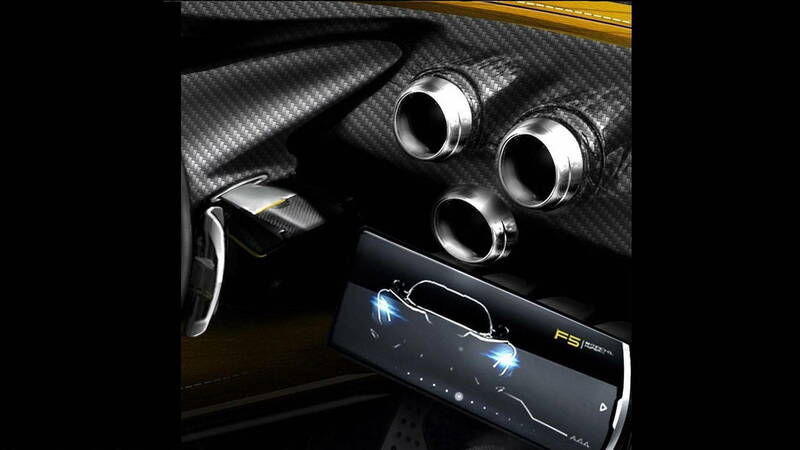 Hennessey first dropped a teaser image of the Venom F5 last week and dished out a few juicy details. Now, we have our first look at the interior, which is, rather unsurprisingly, awash with carbon fiber to save weight. The image also shows that the car has paddle shifters and a thin screen display sans traditional buttons. Another interesting bit: the central air vent layout mimics the Venom F5's rear tailpipe assembly, as it is arrayed as a trio. 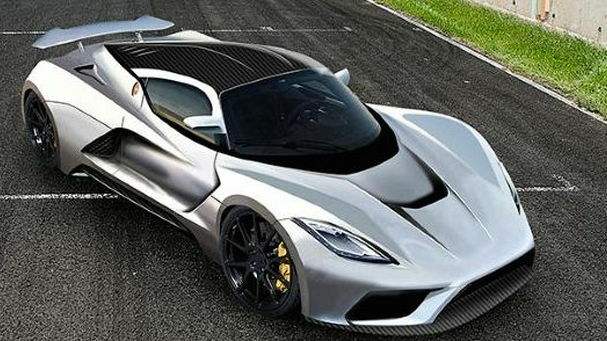 The number three is important here because the Venom F5 could be the first production car to reach 300 mph. Along with the first details last week, Hennessey's teaser image also showed the vehicle sitting beside a speed limit sign that read "300 mph." With the mounting teasers, it's becoming more likely Hennessey will attempt to reach the coveted 300 mph mark. The Bugatti Chiron doesn't quite meet the 300 mph top speed target. It's currently limited to 261 mph and Bugatti says speeds of 300 mph aren't possible because no tire can handle the forces. Could Hennessey Performance Engineering have cracked the code? That remains to be seen. 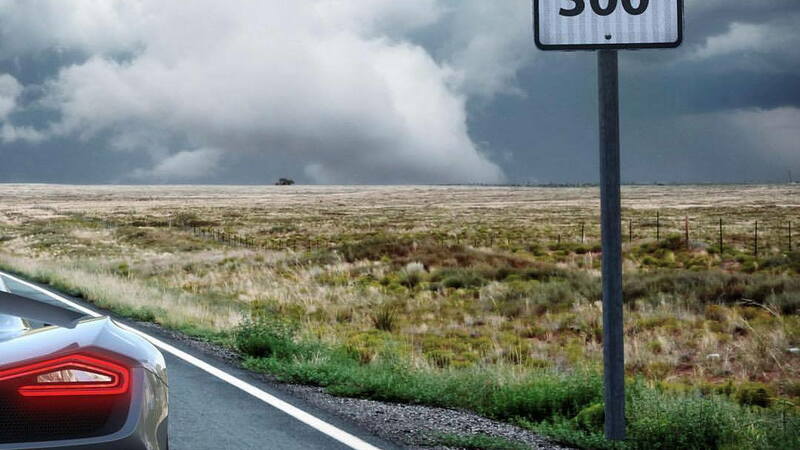 The "F5" nomenclature may also reference the scale of which tornadoes are measured. F5 category tornadoes register wind speeds between 261 and 318 mph. 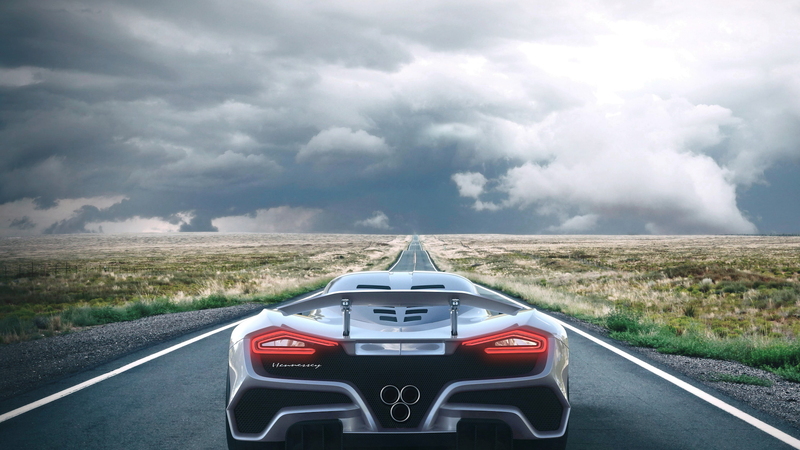 Hennessey certainly has a storm brewing, and we'll know just how fast the Venom F5 is when it's revealed at the 2017 SEMA Show on November 1.